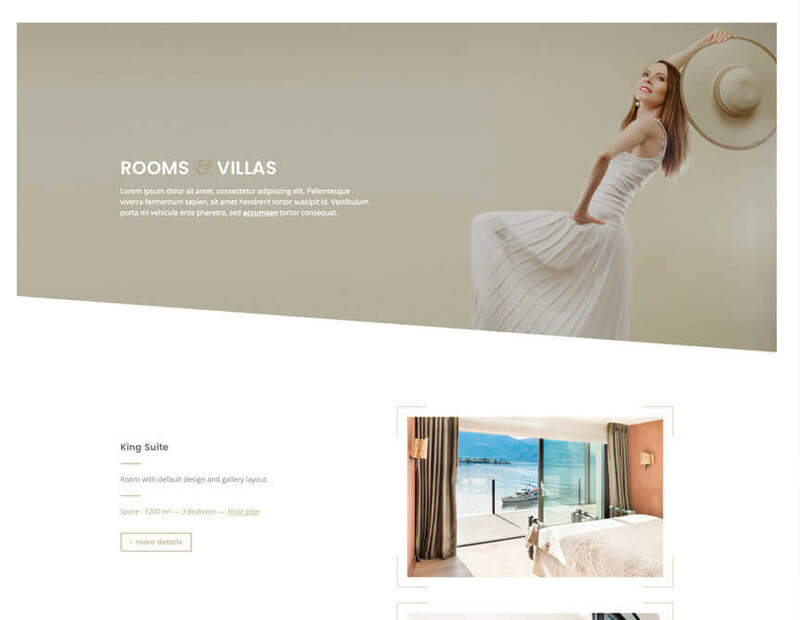 Looking for a club or hotel WordPress theme? 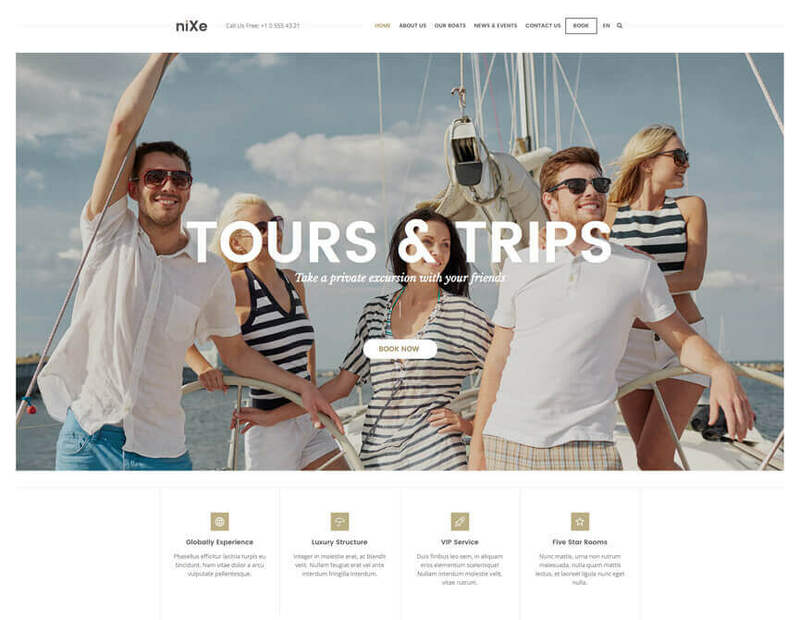 niXe is a premium WordPress theme which is suited for multiple purposes, such as facilities, hotels, clubs, resorts, museums, buildings, restaurant, bars, art galleries, etc. In short, a place or business which has sections or features that needs to be presented properly in a beautiful manner. 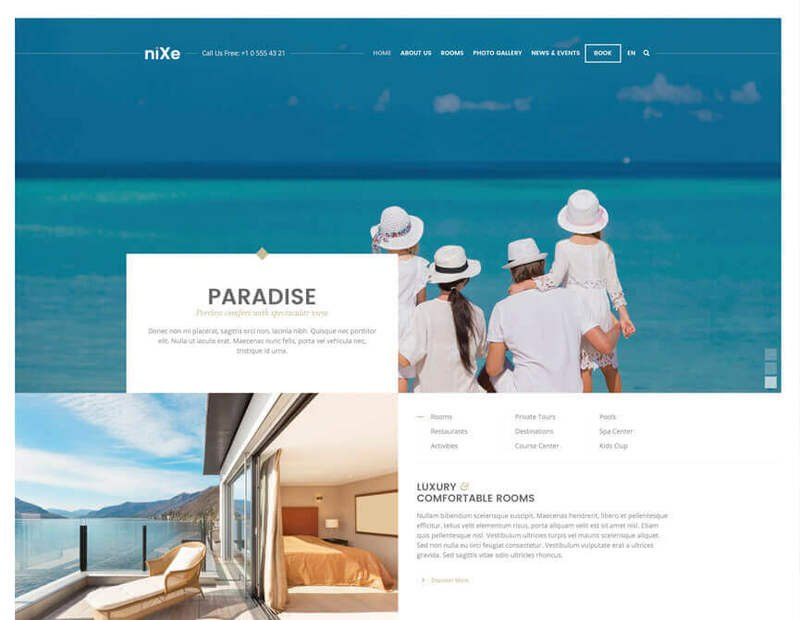 In addition to that, thanks to its flexible design and comprehensive built-in CMS tools, niXe is a great choice for any business. 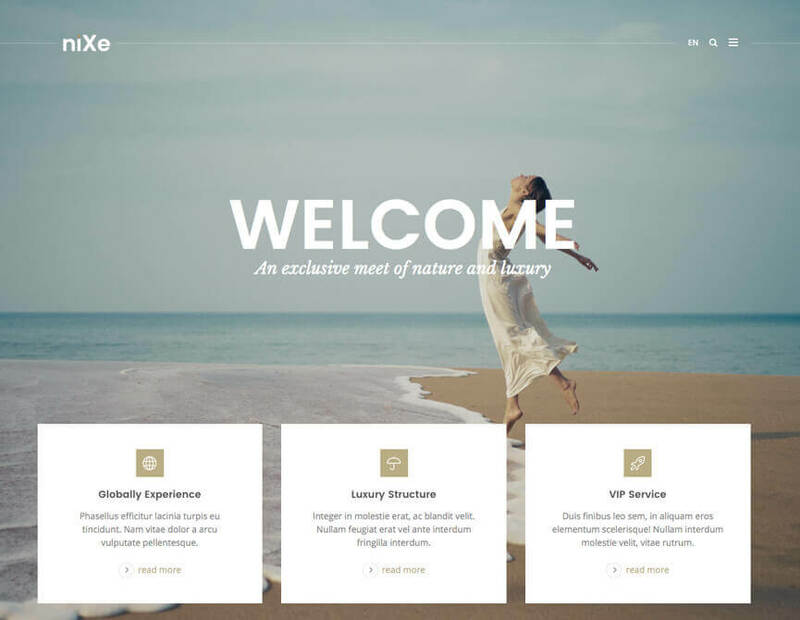 niXe is a multi-concept theme with powerful CMS tools. We have built many tools that will help you to create an effective presentation of your business in the most elegant and professional way. You can also use niXe for clubs! 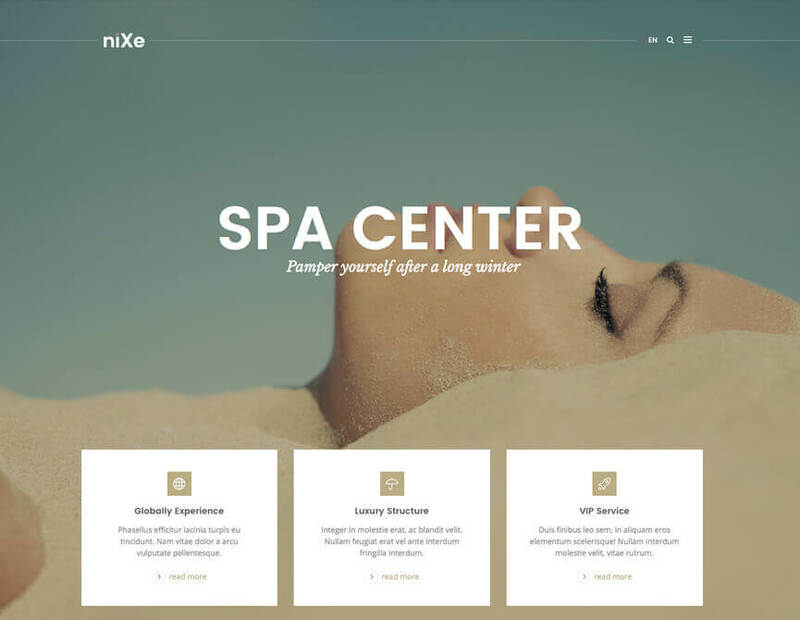 niXe comes with a powerful portfolio tool that can be used for almost any kind of services, such as products or creative works. 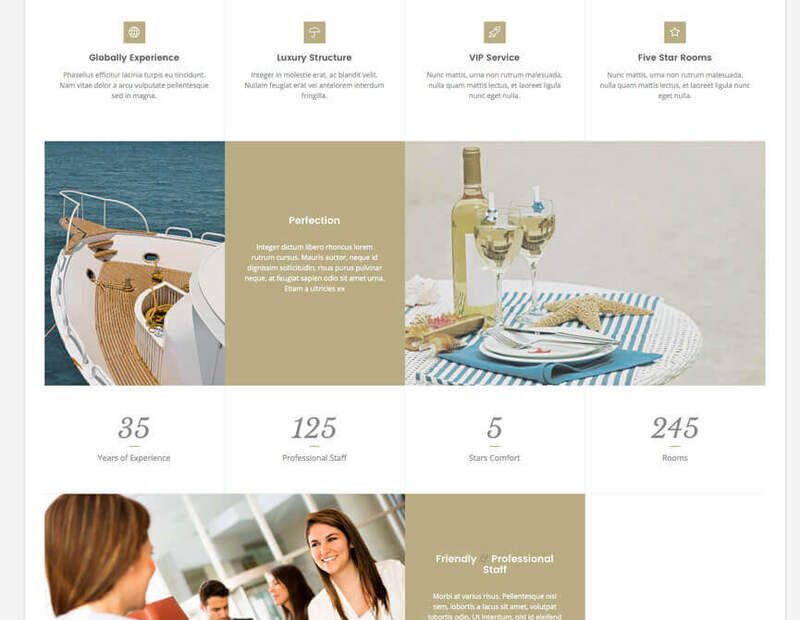 Create your portfolio posts easily and list them in your pages in many different styles. 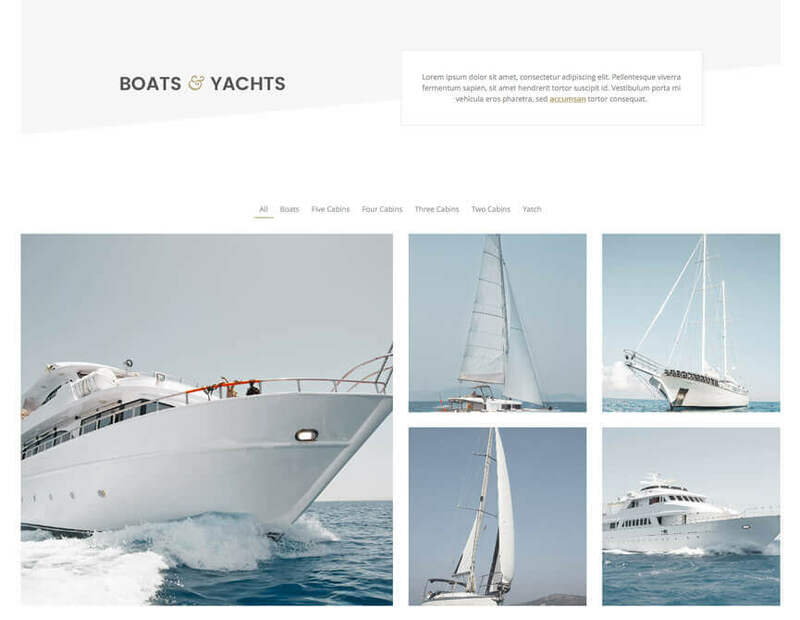 As an example, we have created a portfolio and introduction website for a yacht club. 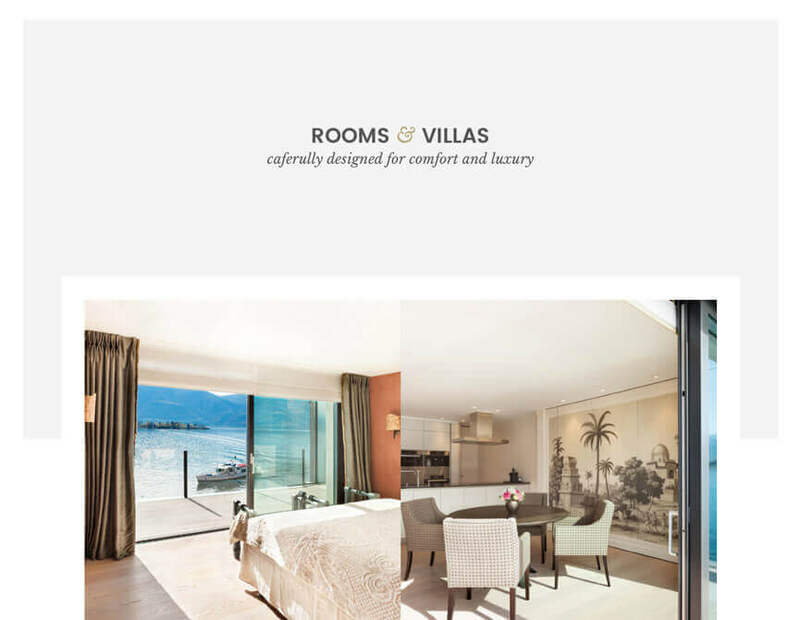 With the built-in rooms post type, create a beautiful interactive presentation website for your resort, hotel, camping, apartments etc. 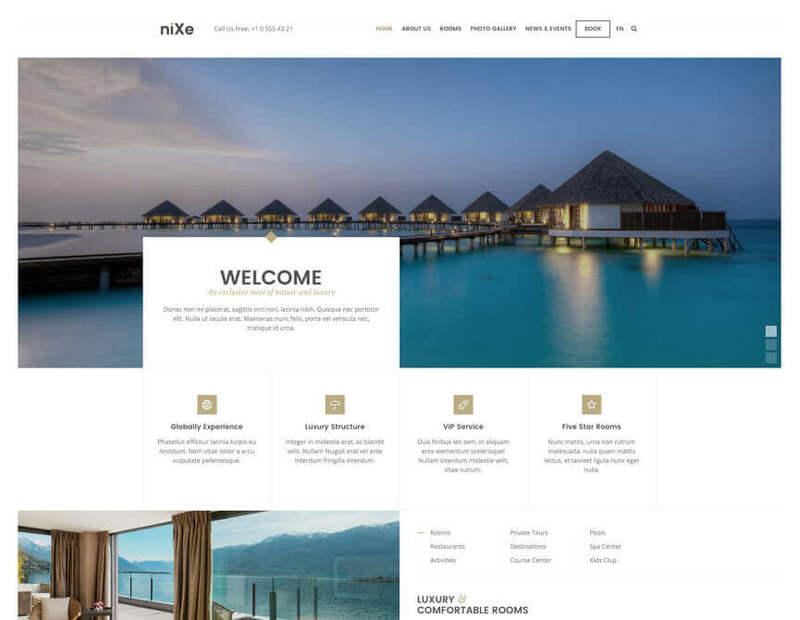 Nixe is a high quality hotel WordPress theme. niXe looks and works great everywhere! 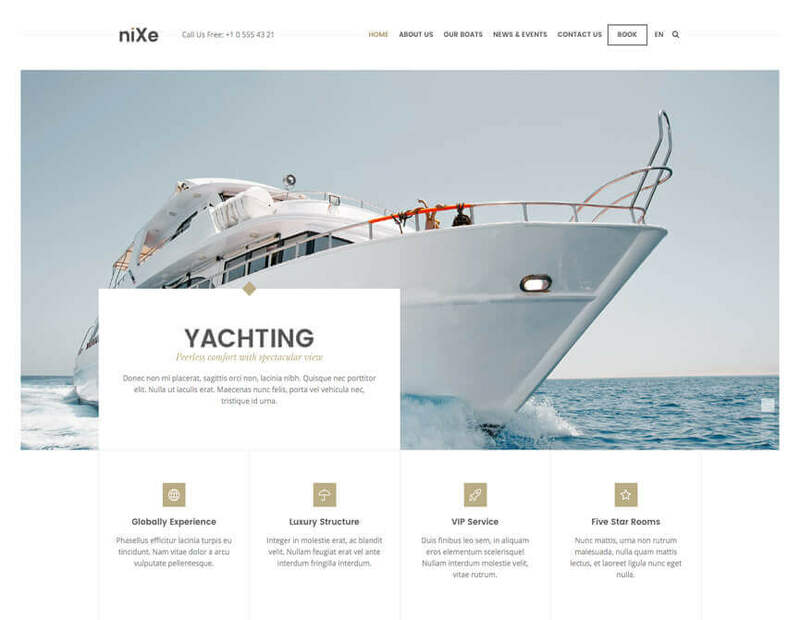 niXe has been designed to fit all screens of all popular devices such as tablets, smart phones and regular computers. You can customize header, footer, body, sidebar positions and main navigation items, etc. for each page individually. 42 useful shortcodes such as pricing tables, carousels, tabular contents etc. We’ve built the Shortcode Helper to let you access the shortcodes and their detailed instructions with examples from any page of WordPress back-end. You can translate your website into your language by using the provided .po file. 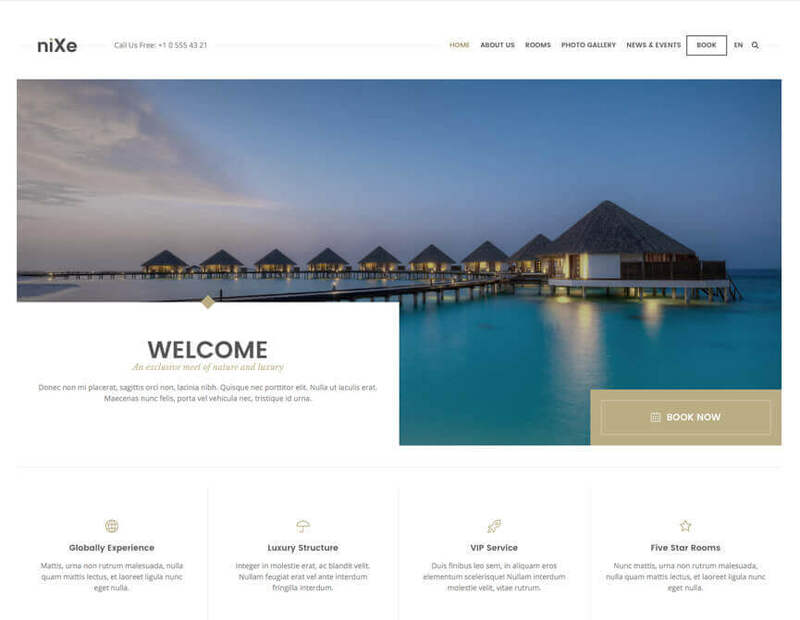 The theme also supports WPML which the plugin lets you run multilingual websites. Also, we provided extended RTL support for the theme. You’ll love it! niXe has a very detailed online documentation that you can find almost everything about the theme without loss of time. You are welcome to use our support forum, when you need assistance as our thousands of other clients do. We have also many tutorials and how to’s inside our support forums. The theme has carefully coded as big search engines recommended and comes with built in microdata for Google. Your breadcrumb menu and products will be displayed as rich snippets inside Google page results. It also supports popular SEO plugins.